NEW! 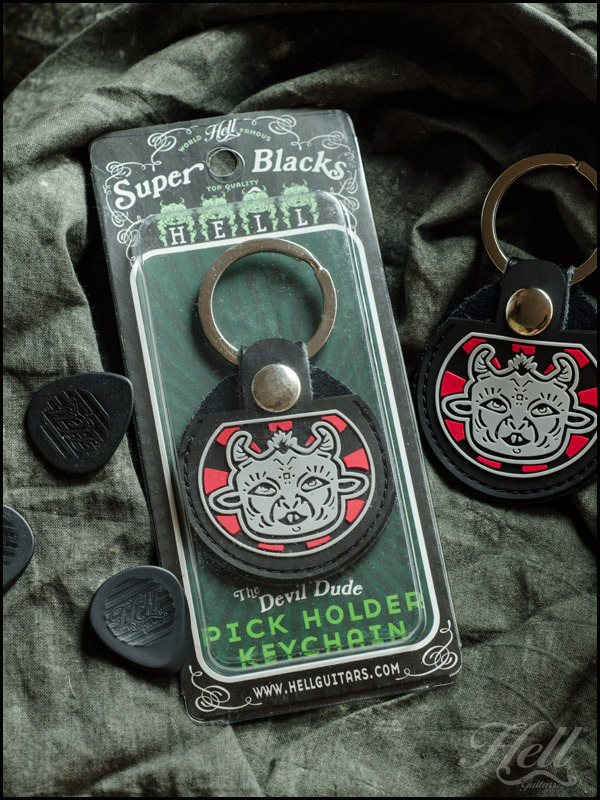 Devil Dude Pick Holder Keychain. w00t!… | machinehead! ← From Hell to you…Sonar All-Aluminum pickguard! The Devil Dudes are back! Well at least one of them is anyway and he’s on our fabulous (and useful!) 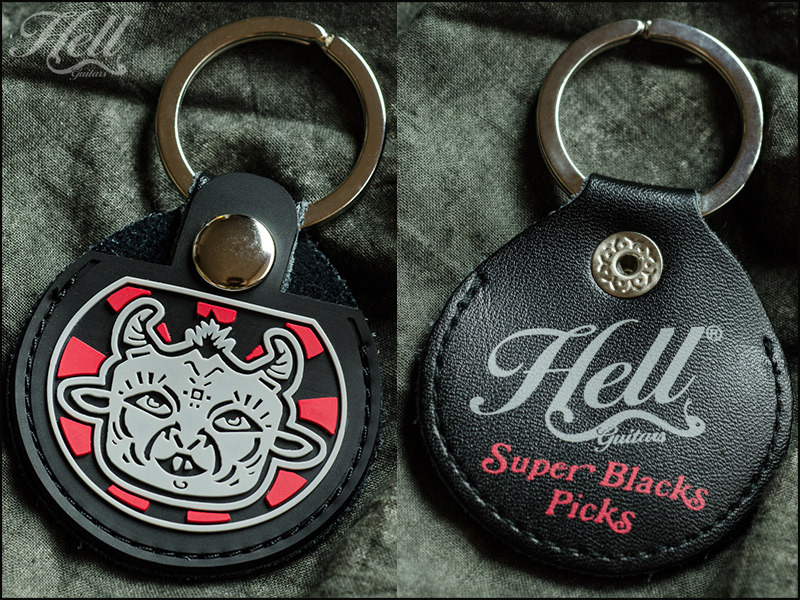 new pick holder keychain. 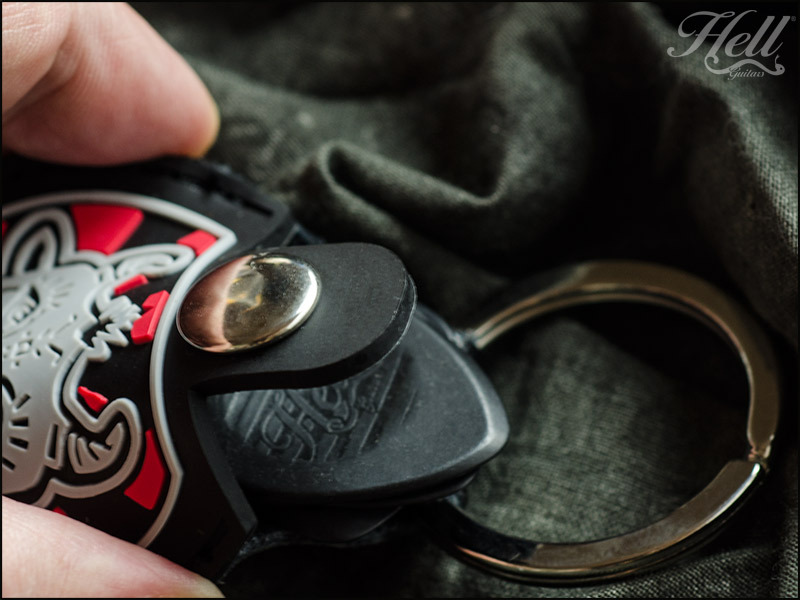 Emblazoned with The Dude’s portrait in slightly raised rubber on a fine, snap-closed, leather pocket, it will fit up to 3 of our 3.2mm, 5 of our 2mm and a whopping 10 of our 1mm Super Blacks Picks inside. The reverse side is printed with the famous Hell Guitar logo. Now, think about this… How many times have you driven to the guitar shop to try out a new axe only to discover that your favorite picks are sitting at home? On the other hand, how many times have you driven to the guitar shop without your keys? Never, right?! 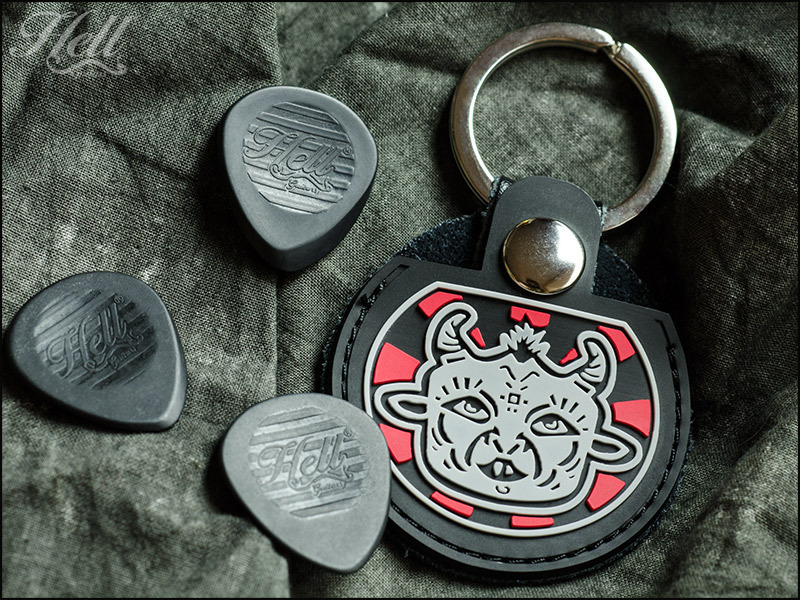 So now you can simply keep your picks with your keys as nature intended. Superior style and utility. How great is that?! So there you are. Full disclosure. Hell thinks animal products are bad except, in a way, they are good (in a utilitarian sort of way). Which is really to say that they’re bad, especially for the poor creature involved, right? This entry was posted in Gear, Hell News. Bookmark the permalink. From Hell to you…Sonar All-Aluminum pickguard! Mable CD packaging just arrived! Mhead on Mable CD packaging just arrived! old nod on Mable CD packaging just arrived! Mhead on Mable is here! Nick on Mable is here! old nod on Mable is here!